Amazon has added another exclusive hit series to its streaming service Amazon Prime Instant Video int he form of BBC America's Orphan Black. Orphan Black has only had one season so far, but thanks to the stand out performance from lead actress Tatiana Maslany, it has already shot up to a lot of critical acclaim. The series is a sci-fi mystery about a woman who was adopted and comes to find out she was actually part of a mysterious cloning experiment and that she is one of several copies. Maslany plays each of the clones with distinct personalities and quirks, and this is what led to her receiving the attention of critics and awards shows alike. The statement from Amazon today announces that the first season and all future seasons will now be streaming exclusively on the Amazon Prime Instant Video service. "Orphan Black is exactly the type of smart, suspenseful TV show that our customers love to binge on," said Brad Beale, Director of Digital Video Content Acquisition for Amazon. "It's easy to see why Tatiana Maslany was nominated for a Golden Globe for her role in Orphan Black. We're excited to offer the first and future seasons exclusively to Prime members at no additional cost, continuing our tradition of offering a wide variety of great content we know our customers will enjoy." The first season is available now, which is perfect timing for those who wish to catch up before the second season debuts on April 19. SEATTLE–(BUSINESS WIRE)–Mar. 7, 2014– (NASDAQ:AMZN)—Amazon.com, Inc. today announced a content licensing agreement with BBC Worldwide North America that will make Prime Instant Video the exclusive online-only subscription home for streaming Season One and future seasons of the intriguing dramatic thriller Orphan Black. The highly regarded series returns to BBC AMERICA on Saturday, April 19, at 9:00 p.m. ET, allowing Prime members plenty of time to enjoy past episodes on hundreds of connected devices anytime, anywhere before the series continues. Orphan Black stars Golden Globe-nominee Tatiana Maslany as an outsider who assumes the identity of a woman who looks just like her after witnessing her suicide—only to realize that she and the dead woman are clones. Maslany was awarded the Critics' Choice Television Award for Best Actress in a Drama Series, the Television Critics Association Award for Individual Achievement in Drama, and a Young Hollywood Award for Breakthrough Performance for her work in the series. Orphan Black was created by award-winning director John Fawcett and award-winning writer Graeme Manson, and also stars award-winning actress Maria Doyle Kennedy (Mrs. S.), Dylan Bruce (Paul Dierden), Jordan Gavaris (Felix Dawkins), Kevin Hanchard (Detective Art Bell), and Skyler Wexler (Kira). Orphan Black is produced by Temple Street Productions in association with BBC AMERICA and Bell Media's Space and is distributed internationally by BBC Worldwide North America. "Orphan Black is exactly the type of smart, suspenseful TV show that our customers love to binge on," said Brad Beale, Director of Digital Video Content Acquisition for Amazon. "It's easy to see why Tatiana Maslany was nominated for a Golden Globe for her role in Orphan Black. We're excited to offer the first and future seasons exclusively to Prime members at no additional cost, continuing our tradition of offering a wide variety of great content we know our customers will enjoy." 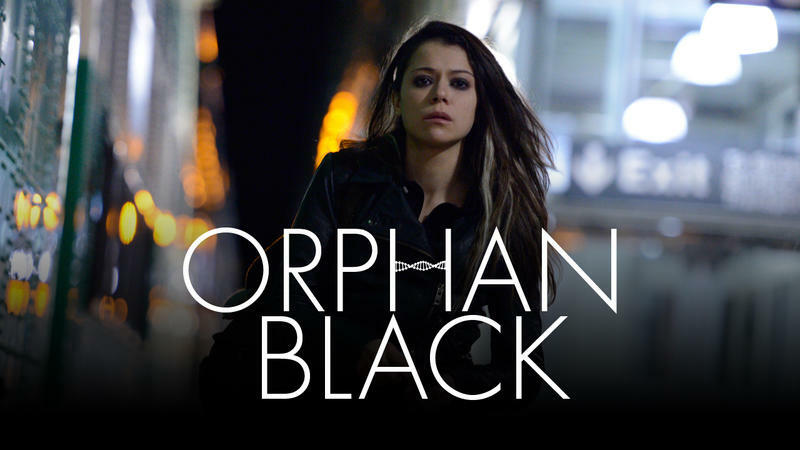 "Prime Instant Video continues to be a great platform for viewers to enjoy our content, and we're very pleased to make it the exclusive online streaming provider for every season of Orphan Black, starting with Season One," said Matt Forde, EVP Sales & Co-Productions for BBC Worldwide North America. "Temple Street Productions along with Graeme Manson and John Fawcett have created an addictive, edge-of-your-seat series and now is the perfect time for subscribers to get on board and catch up on Season One before the series returns to BBC AMERICA in April."